Radyo Bandido is back as The New Bandidos! What a good week on radio. Spoke to lots of people on controversial topics. From BBL to K-12 to FOI to relationships to traffic. What a week! Yes, I am on radio! I am on radio every weekday from 7-9am (or earlier if I get to the studio earlier), and started last Monday, the anniversary of Martial Law. Yes, I can’t believe it either. I have to get up a little after 4am, because any later than that, I get stuck in Manila traffic. At least now I get to the station even before 7 and can have a bite to eat and a cup of coffee. 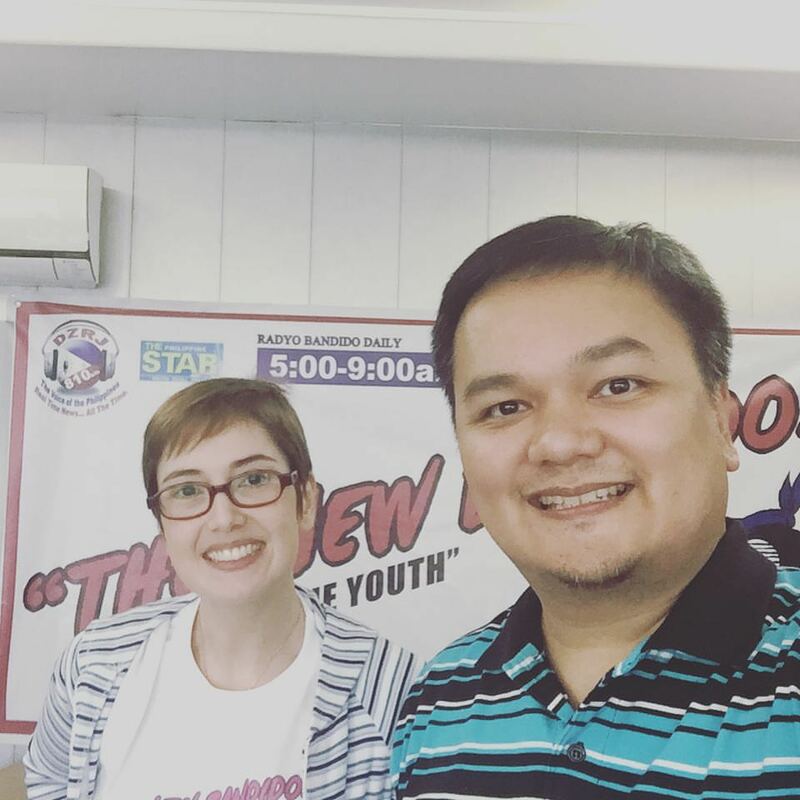 YesPinoy is a partner of the original Radyo Bandido, and when it was re-launched as The New Bandidos, we of course joined and started activating our youth volunteers to report, ask questions and give their opinions. I thought I’d only get to go on air once a week, but things happen, and here I am. Everyday! I am enjoying it! Even if I need to adjust to a new sleep pattern, since I do have to go to the office during the day and have CFC FFL prayer meetings and other meetings in the evening (aside from family time, of course), I am having the time of my life! We get students from PUP, YesPinoy and St Paul QC who send in reports, come to the station and interact with guests. And they are not afraid to ask tough questions. They really are using this medium to make their voices heard. We haven’t had a fight on air yet, but the guests have been very open and accommodating with the questions being asked. Hope it continues even as we get to ask the tougher questions. Thank you for guesting on ‪#‎TheNewBandidos‬ Congs Rufus Rodriguez, Roman Romulo, Celso Lobregat, former Cong Erin Tanada, DEPED Sec Armin Luistro, COMELEC Spokesperson James Jimenez, and CHR Chairman Chito Gascon. We appreciate it! 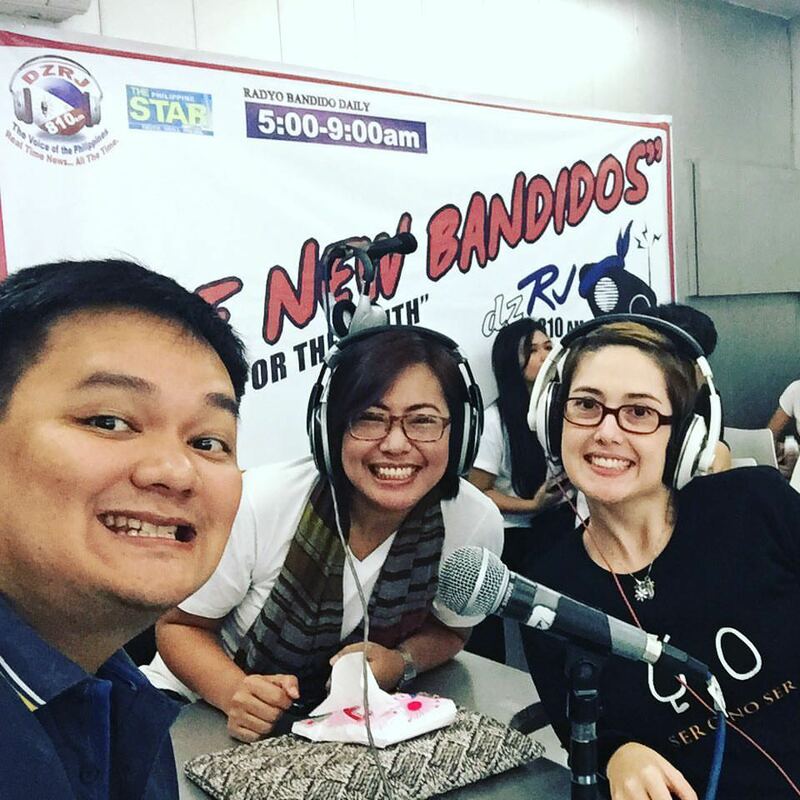 Catch The New Bandidos with Pia Roces Morato and I from 7-9am on DZRJ 810am. Soon on FM, and even sooner with surprise new hosts! Previous YesPinoy’s Project 888 in Sarangani and Isabela!